Weather the wind and rain on your next cruise with our striking royal blue Cruise Critic poncho. 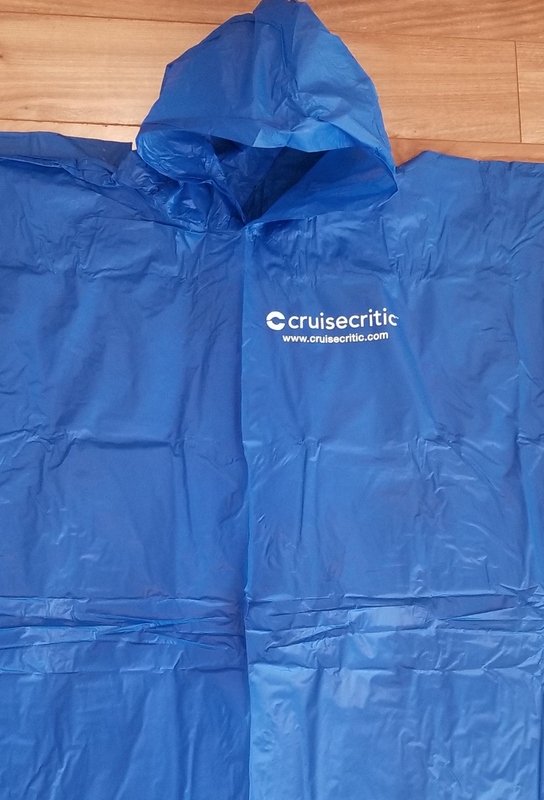 The signature Cruise Critic logo attracts fellow Cruise Critic members, while the sturdy PVC vinyl repels rain. Poncho is one-size-fits-most, measures 3'2" by 4'1, and has a hood at the top and snap buttons along both sides for extra protection. Plus, our poncho comes neatly folded in a convenient pouch, so it's easy to pack!